suspect he sends to trial, not even the real truth behind Dio's death which lies in secrets—not of state, but of the heart. Steven Saylor (born March 23, 1956) is an American author of historical novels. He is a graduate of the University of Texas at Austin, where he studied history and Classics. 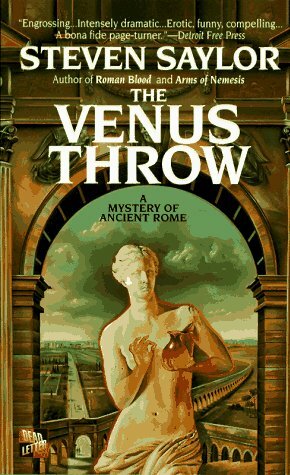 Although he also has written novels about Texas history, Saylor's best-known work is his Roma Sub Rosa series, set in ancient Rome. The novels' hero is a detective named Gordianus the Finder, active during the time of Sulla, Cicero, Julius Caesar, and Cleopatra. He divides his time residing in California and texas.